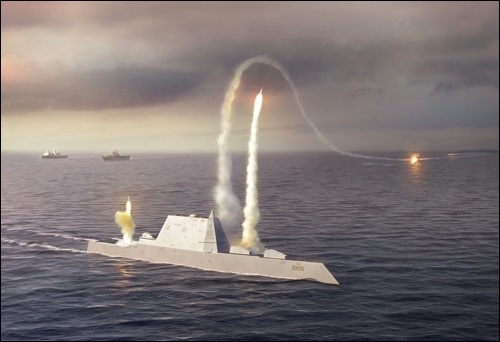 DEC provided extensive structural design and analysis support to Northrop Grumman Shipyard throughout the structural design development of the DDG 1000. DEC provided scantling verification, a full–ship finite element model for a global stress analysis followed by fine mesh models for local details in order to meet the ABS Naval Vessel Rules. DEC was also tasked with production level drawing development and drawing review.